Find out what FreeScriptureBooks.org is all about. Faith is major part of our walk with God. 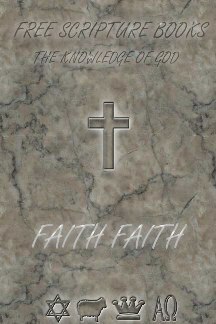 Without faith you cannot please God, and what is not done in faith is sin. You cannot have rest and peace in your life without faith but with faith you can do all things including entering eternal life with Jesus, our Savior and Lord.